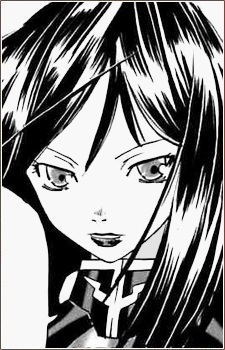 Sancia is a dark-haired woman who serves as a field captain for the Irregulars. She possesses a Geass ability known as "The Order," which accurately identifies the positions of targets within a given range and precisely calculates their probable movement trajectories based on all known variables. The results of her calculations are instantly submitted to her Knighmare Frame via a cockpit neuro-imaging device and collated with radar information before being distributed to her team for tactical purposes. When her ability is active, a Geass sigil appears upon her forehead. She is typically partnered with Lucretia, whose terrain-mapping Geass ability complements her own. She is older than her subordinates.